Carey does a fantastic job establishing the situation the mutants find themselves in Chapter 1 and makes the Alpha issue feel a bit unnecessary. He does a far better job here by throwing the reader headlong into a world that has recognizable characters but everything seems wrong about their circumstance. There’s a real sense of mystery as even the characters living in this world begin to see that something is amiss. Clay Mann’s interior art is superb and captures some amazing energy on the battlefield along with some dramatic moments. Basilisk jumps right off the page early on and Rogue (known alternatively as Legacy and Reaper in this world) is the focus of some particularly striking panels. Her torment as the “Reaper” rushing to the front lines to absorb the powers of the dying before they’re lost is palpable and her interaction with the mysterious “X” is truly intriguing. The issue sports a cover by Lenil Yu that features a huge cast of players seen within. It’s been floating around the internet for months, but it still looked great on the shelf. 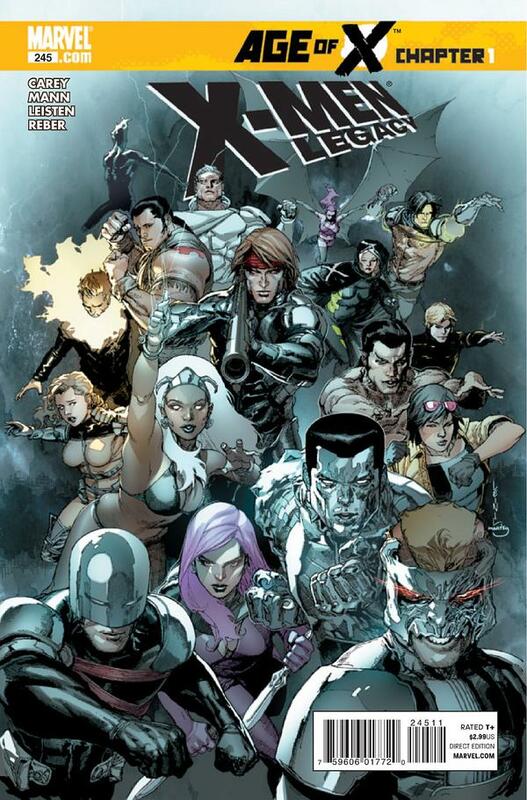 I’m glad to see that Yu has been tapped to provide covers for X-Men Legacy throughout Age of X.
I still don’t understand why the build up to this series rolled out the way it did, but I really enjoyed this book. The first read through was rough, but I think that was more my exhaustion than any fault of the comic itself. There was an upside to not having to wait long for more intrigue and mystery as Chapter 2 (New Mutants #22) was right there in my hands the same day, but I’m concerned about how long the wait for Chapter 3 might be (it’s currently scheduled for March 9th). Making things even more ridiculous, Marvel released a teaser for the May issue of X-Men Legacy last week and while it looks really interesting, it makes it seem like Age of X is an afterthought. I know they need to promote their product, but it’s hard not to feel like this crossover is suddenly passé when it’s really just beginning.